I maintain emergency kits for my home and jeep. There are a number of bug out essentials in the pack I carry with me anytime I leave the RV. I've written a lot about emergency preparedness gear for several outlets over the years. Keeping folks safe during an emergency was a big part of my old life. Despite all of this, I have a hell of a time finding a flashlight that doesn't cost a mint that I feel comfortable recommending to folks for their emergency preparedness kits. I hate hand-cranked flashlights, despite loving the idea of objects capable of providing their own power. Not a single hand-cranked torch that I've tested over the years has lasted me more than a few hours of use before showing signs of impending mechanical failure. In an emergency, solar powered gear is great to have... provided there's enough light to provide an adequate charge to the battery that you've got connected to your panels. Depending on where you live or what sort of disaster has knocked out your home's lights (there's not a of a lot of sunlight during a hurricane), it might not be a great solution for many people. 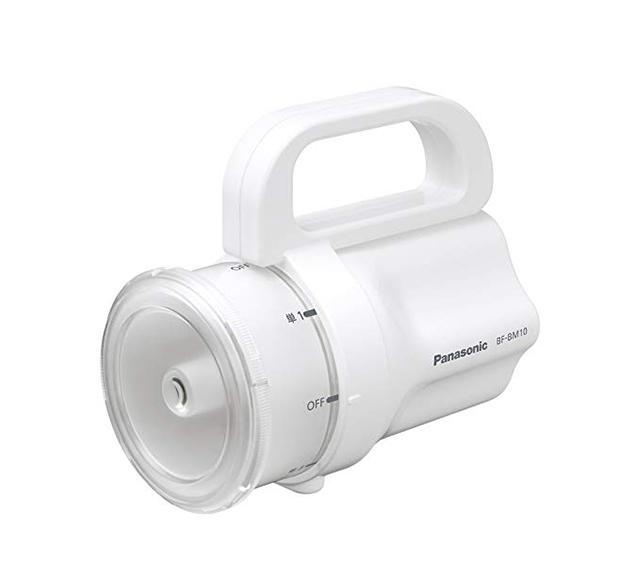 Happily, it looks like Panasonic has developed a flashlight for their Japanese customers that can use damn near any battery you might run across during an emergency. Panasonic's Any-Battery LED Flashlight BF-BM10-W, as its name suggests, can make use of any number of different batteries to provide you and your family with enough illumination stay safe and provide some much-needed comfort during an emergency where the power grid goes down. Hell, given the fact that it can be run off of any D, C, AA or AAA batteries you have kicking around your junk drawer, it's a good get for short camping trips or midnight strolls to the back garden shed to round up another batch of your home brew. I haven't called one in to test yet, but Panasonic claims that this thing can provide up to 86 hours of illumination, depending on what batteries you pop into it. As it cranks out around 400 Lumens, it's not going to blind anyone, but it's definitely better than nothing--especially when you can run it off of any leftover cells you have lying around the house. Immortal Masks make a lot of masks, prosthetics and horrific creatures we see in films that later end up haunting our dreams. This video shows exactly how they do it. I bought this cute handpainted octopus cup $16 on Amazon) as a Christmas present. I’m not going to tell the recipient how to use it, but I think it would be a cool toothbrush holder.